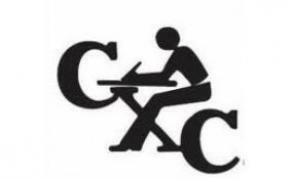 The Ministry of Education, Yasmin White, and Education Officer has provided information from Caribbean Examination Council (CXC), about a new initiative to eliminate the problem of identification of candidates writing examinations at different sittings. The following is the information for the benefit of officials and students and candidates involved. The registration challenge is made more difficult because the performance of candidates must be tracked over a number of sittings to make awards suc has the CCSLC® certificate, the CSEC® Business Certificate and the CAPE® Associate Degree. Providing timely transcripts to candidates who have written these examinations is a considerable challenges in each examination has its own database and there has been no common identifier to link a candidate across the different levels. In order to eliminate some of the foregoing deficiencies, CXC introduced at the May June 2014CCSLC,CSEC and CAPE sittings, a unique candidate number (UCN) which links acandidate’s record from one sitting to another and across different examinations. The UCN will be assigned to all candidates at the point of first registration for any of the examinations offered by CXC. In 2013, the UCN was piloted internally, thus, all candidates who registered for examinations in 2013 were assigned, unknown to them,a UCN. A candidate will be allocated only one UCN during his/her lifetime relationship with CXC. Later, you will be informed how to obtain a UCN for a candidate who does not remember his/ her UCN. 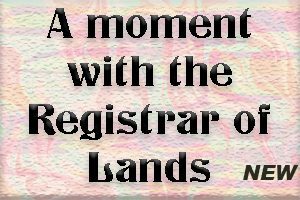 The UCN is an eleven-digit number with digits 1 to 4 comprising the year of first registration (beginning with registrations in 2013) and digits 5 to 11 randomly generated numbers.The UCN will be printed on the preliminary results slips and certificates of candidates who wrote examinations at the May-June 2014 CCSLC, CSEC and CAPE sittings. From the 2015 sittings, the UCN will also be placed on the candidates’ individual timetables as well as the other documents. Candidates are required to retain the UCN and to present it when registering for examinations in the future.The regular ten-digit candidate number may also be used as an alternative to the UCN at registration.